The Zip Yard » New Year Restyle Challenge! It’s January which means ‘NEW YEAR, NEW YOU!’, right? Well, at least according to every magazine, blog and TV programme it should be. But isn’t that kind of sad (and a little offensive)? What’s wrong with old, regular me? I do believe that there are lots of positives offered by a new year; it’s a perfect time for focusing on revised goals, for taking a fresh look at our style, and for improving what we have rather than doing away with all that was. With this in mind, I am looking to what it is I already have to see how those things make me feel, how they work for me, and how I can enhance them. Number one on my list? My clothes! (Family would have been a bit harsh). The social calendar is definitely a little less crowded in January than it was in December so I am taking the opportunity to enjoy the return of some domestic productivity during my evenings and weekends. The absence of hourly commitments or a fuzzy, tired head means that I can take the time to stay at home, safe in the knowledge that the day is my oyster and that I can make space to really review what’s hanging in my wardrobe. I put Spotify on loud, heater on warm, mask on face, slippers on feet and switch my sartorial heart to honest: it’s clear-out time. Often when I’m working with personal clients on wardrobe consultations they are terrified of their clothing edit because they are certain that such an edit will leave massive gaps in their collection, requiring a big shopping investment to fill. Not so! When we begin to empty out the wardrobe (and this is key, you must take everything out in order to see exactly what you’re dealing with), you will begin to see patterns. There’s a reason that we hang on to some garments for so long – sometimes years – without wearing them. Most of the time they are pieces that we have spent a lot of money on; pieces that were made with high quality, luxury fabric; pieces that hold happy places in our memories; pieces that made us feel really good. However, just because we invested in a piece, or because once upon a time it looked great on us, does not mean that the specific garment, in its current form, will continue to serve us well. Tastes change. Body shapes change. Trends change. Lifestyles change. For our clothing to work for us, it is always going to need to reflect who and where we are at this time. This does not mean that we need to engage in an ongoing stream of impulse shopping and Band-Aid purchases in an effort to keep on top of our dressing requirements. It is time to honour what we already have, to celebrate those dearly loved garments, and to take the opportunity to create a bespoke, hardworking, desirable closet of clothing that reflects who we are and how we want to look. 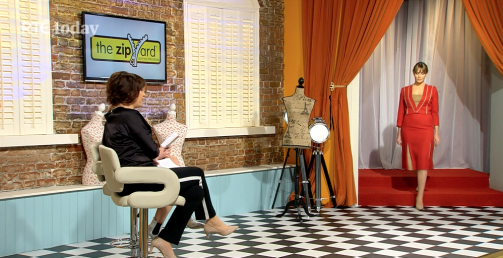 With this in mind, The Zip Yard appeared on RTE Today recently, accepting the new year restyle challenge. We showcased six styles to receive the upcycling treatment from The Zip Yard’s experts tailors. Taking previously beloved pieces that were destined to hang at the back of closets, with no place in day-to-day dressing, the team transformed the six looks into stylish, trend-savvy, body-conscious, and totally unique bespoke creations. 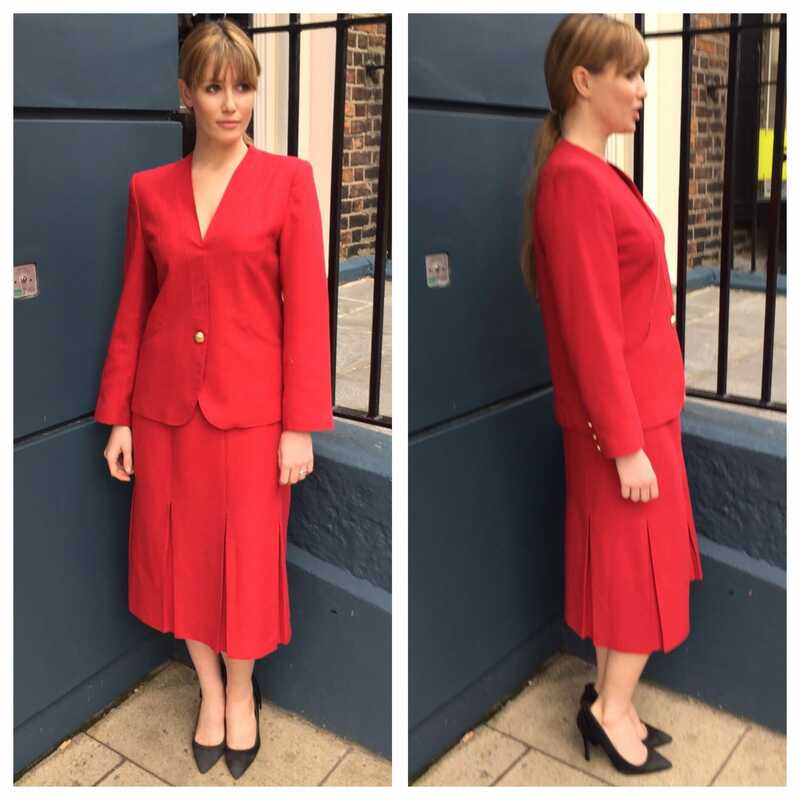 This red suit is made of great quality fabric – the type of outfit that was invested in – so the skirt and jacket are perfect candidates for a restyle. 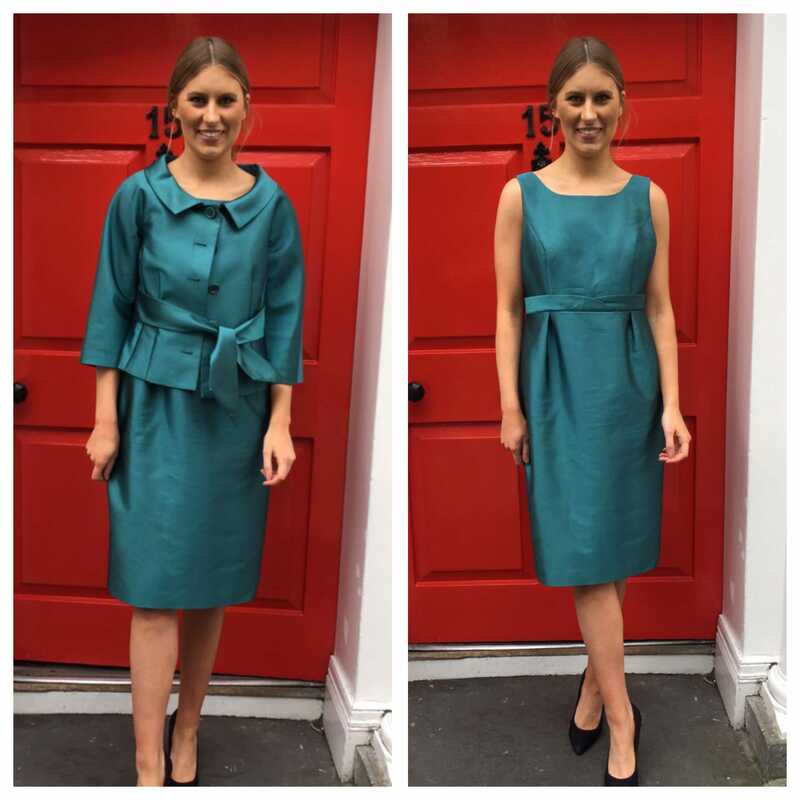 As you can see from this image, the original jacket was blazer length; the skirt was A-line with box pleats, the kind that many of us have in the back of our wardrobes but that need modernising to make appealing once more. The Zip Yard expert tailors began by shortening the jacket. They then took it in to create a box shape. Next, they added beige leather piping to the seam lines. Continuing in this style, they then created slits on the cuffs and added the same piping into these slits. The skirt was tailored for a more streamline finish. Firstly, it was taken in to create a curvy silhouette. Beige leather was added into the pleats on both the front and back of the skirt. This detailing was then carried through by creating a beige leather waistband, giving the illusion of a smaller waist, and pulling together then entire look. The result? A head-turning race day outfit worthy of ‘Best Dressed Lady’ accolades. Why not get The Zip Yard to cover an existing hat in the same material to really add that stylish finishing touch? This oversized grey fur coat could be found not only at the back of your own wardrobe but perhaps that of your granny’s. Or indeed it might be a gem of a charity shop discovery. Either way, the raglan style sleeves & large collar make the coat dated, and therefore prime style update material (no pun intended!). The Zip Yard experts began this coat’s transformation by shortening it to offer a more wearable length. They then took in width of the coat. Next, they remoed the sleeves. Finishing the entire transformation to perfection, they took off the oversized collar and added a funnel neck using the previously removed fabric. The result? An updated, on-trend gilet that would look quite at home on the cement catwalks of New York Fashion Week street style. This two-piece silk dress suit is a perfect example of a one-off outfit that was a well-made investment piece for a big occasion but one that the owner is not inclined to repeat wear. This makes the shift dress and box jacket combination a great option for upcycling. This time The Zip Yard consultants, experts in body shapes, began by taking in the dress. The waistband was then removed and a V-neck cut into the bust which will elongate the neck of the wearer. They then removed the sleeves and collar from the jacket, adding both to the dress. The addition of pockets was key to creating the polished restyle. Next, as a stylish way of using leftover material from the jacket, the team created a wing detail on the shoulders which finished off the transformation with a touch of couture detailing. The Zip Yard can always find ways to use your left-over fabric, ensuring that waste is avoided. The result? A flattering, long-sleeved classic winter dress ready to impress everywhere from the boardroom or the bar. With our wardrobes home to so many pieces hanging unloved and unused, it’s a great idea to utilise more than one garment at a time when creating a new, bespoke piece of clothing. This time, it’s two, dated outerwear items that are up for reinvention: the classic camel wool coat (of which everyone has owned at least one!) and a faux fur short jacket that was so on-trend a couple of seasons back. First up for alteration was the camel coat. The coat was cut at the waist and the sleeves removed. Next, The Zip Yard tailors looked to the fur coat and removed the sleeves from that also. 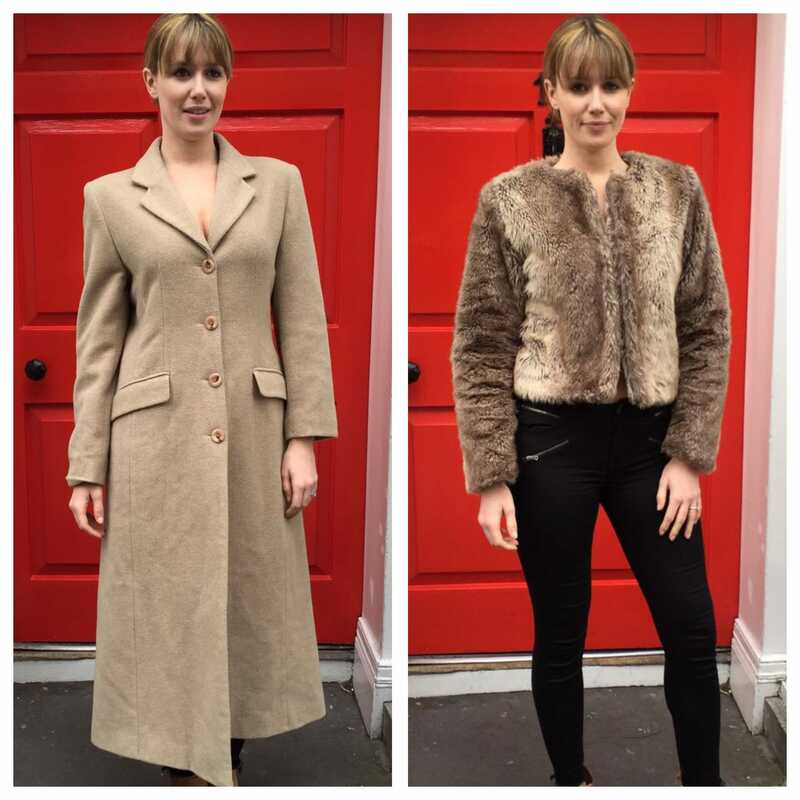 Next, with some clever tailoring expertise, the two coats were combined by attaching the camel material to the hem of the fur coat (rather than placing the fur on top of the camel which would have made in the finished look bulky). They then added the camel sleeves to the shoulders of the fur coat. The result? Two become one! The coat and jacket are combined to create a perfect bespoke – and utterly unique – dress coat. The ubiquitous leather skirt has gained much favour over the past few years, its versatility key to its popularity. This same popularity, however, means that many of us have found ourselves owning more than one. And since we can only wear one at a time, why not offer the other a breath of stylish, embellished fresh air? The Zip Yard experts began by inserting a new panel of fabric to the centre of the skirt. Next, gold zips were added to either side of this fabric. These zips can be adjusted to suit personal tastes (go as risqué or modest as you wish!). The panel was then fully embellished with hand sewn beads. These beads can easily be found in haberdashery stores; equally you can utilise old earrings or jewels from a necklace. Simply bring the gems with you when you’re having the personal consultation in your local Zip Yard boutique. In this case the beads were key to creating the skirt’s dynamic transformation. The result? A basic leather skirt transformed from daytime staple to standout nightwear (or exciting daywear!). Although the tweed coat is a timeless addition to any wardrobe, the past few seasons have seen designers present their versions as oversized. So, while the fabric is still desirable, the shape can feel a little outdated. 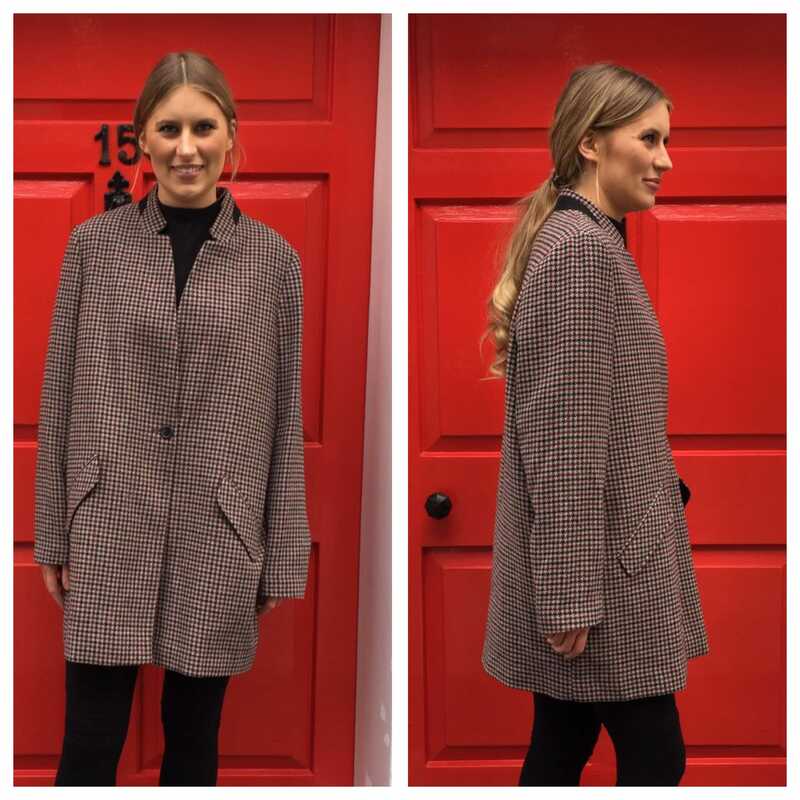 This longline, outsized tweed coat offers a number of stylish transformation options. 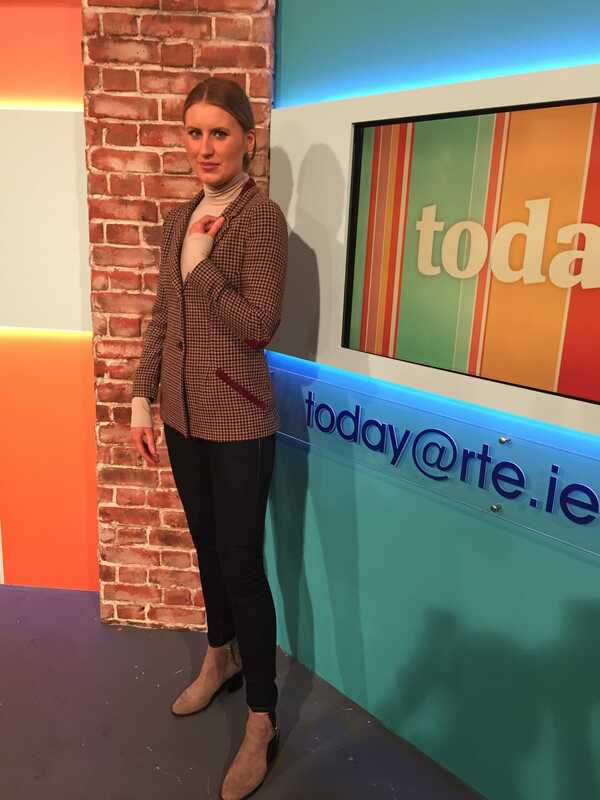 For RTE Today’s feature, we looked to the catwalks for inspiration. The alteration began by shortening the coat length and the sleeves. After this, The Zip Yard tailors took in the body to create a more fitted style. Next, a berry fabric was added to the collar and the jet pockets. Using the same fabric, the tailors then created elbow patches. Elbow patches are an eternally popular addition to coats and jackets for people looking to add a touch of heritage style to their looks. These are easily created by The Zip Yard team; they can use any fabric to do so, meaning there is no need to go in search of patches in haberdashery shops yourself. You can even use fabric from an existing piece in your wardrobe for which you no longer have use. These patches are the perfect finishing touch to this bespoke blazer. The result? An incredibly versatile and attractive blazer that embraces the current heritage trend whilst remaining classic. The six of these transformations show the endless restyling possibilities offered by your own closet collection. Forget hitting the high street and cloning looks of others, it’s time to express your individuality, show some style savvy and considering the positive environmental implications of reusing what you already have, those pieces that you have already committed to – the ones that made you so happy (or not!) – by investing our energies into alterations and upcycling. Our planet, bank balance and style credentials will all thank us. Once you have identified those pieces that need remodeling, take them to your local Zip Yard boutique for a personal consultation with their body shape expert tailors. Perhaps you have images of looks that inspire you? Bring them along and show them to your consultant. They can advise as to what will work best with the fabric, with your body, and with your budget. If you will require further fabric for your creation, they will advise on the type and amount of material required. The Zip Yard team are also experts at interpreting trends and advising how they might be incorporated into your existing pieces to ensure that the resulting bespoke, one-off creations are regular head-turners. Every one of The Zip Yard’s 27 boutiques nationwide, is located on a ground floor premises, offering spacious, private fitting rooms for one-on-one style consultations with their expert tailors. Corkonians can keep an eye out for an exciting new premises as The Zip Yard Cork is moving to North Main St.
And for those unicorns that have no such closet baggage, The Zip Yard can also make garments from scratch. These can be created using a customer-supplied pattern or by copying an existing garment. For regular alternations, The Zip Yard also offer a swift 48-hour turnaround service. They also have an express 1-hour service for minor alterations or repairs. Customers will always receive a text message on completion of their garment so it can be collected as soon as it’s ready. Also, next time you’re in your local Zip Yard, ask about the Customer Loyalty Programme (we all love one of those!). To keep up to date on The Zip Yard’s amazing creations, and for news of offers, follow The Zip Yard Ireland on Facebook.